My name is Andrew Ragsdale I am the owner of Ragsdale Photography. As long as I can remember I have always had a camera, my parents bought me my first camera way back in 1977. I really enjoyed taking photographs of family members and the local area of Nottinghamshire where I lived. I moved to the North East in 1987 working as an Electrician, I was still a very keen amateur photographer and I always had my camera with me. 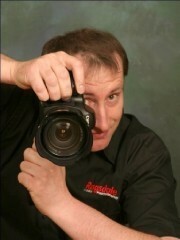 I attended Sunderland College gaining HND qualification in photography and in 2004 I set up Ragsdale Photography. I opened my studio in 2010. Photography is my passion, my business and now my full time career. I photograph Events , Weddings and Portraits if you would like any more information please use contact form to contact me.